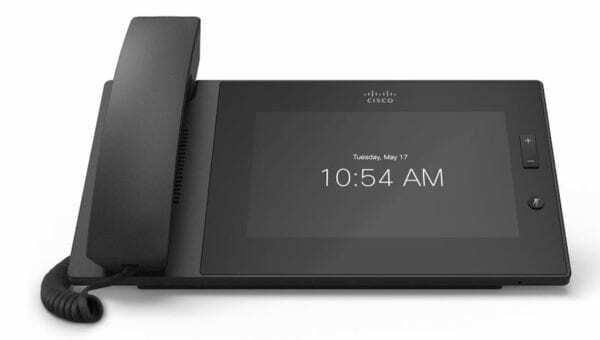 It looks like Cisco is going to take another crack at SMB telephony, but this time it’s not from the Cisco Collaboration unit. It’s from Cisco golden-child Meraki. Before getting into the Meraki MC74 a few words about internal competition. Internal competition seems wasteful, but actually has merit. Internal competition means competition from another division or subsidiary. The logic is if you are going to lose some deals you may as well lose to yourself. It can stimulate innovation. If it isn’t a monopoly externally, why should it be one internally. The danger of internal competition is an unclear corporate vision. In the case of Buick and Chevy, they effectively adhere to the same GM vision. It’s less clear in this situation because Cisco Collaboration has always provided Cisco’s telephony vision. We know Cisco Collab is about enterprise communications that combines hardware, software, services with multiple modalities and applications. Meraki’s vision appears to be much more narrow around endpoints and management services. Meraki was acquired by Cisco in 2012 for its cloud-managed Wi-Fi solution. It’s been a break-out star at Cisco and regularly gets recognized in quarterly earnings calls. The division has reportedly grown from about 15k to 120k customers since it was acquired. Along the way Meraki’s services expanded from wireless networking to broader networking and broader IT services – now including telephony. Meraki demonstrated it at Cisco Connect in Toronto, and then announced it on its networking blog on the 24th. The entire VoIP solution appears to be a single phone, the new Meraki MC74. Presumably more phones will follow. Almost the messaging is around this new SIP endpoint. The MC74 has a 7″ IPS-backlit touch-screen display and wired handset. There are only three physical buttons on the phone: Volume up, volume down, and mute. The “hook-switch” is an IR sensor. The handset magnetically locks into place. It has two LAN ports, two USB ports (back and side), a local power input option, and a reset pin hole, a 3.5 mm headset port on the side, and a port/jack for the handset cord. There is no built-in camera, though that’s possibly what one of the USB ports is for. There are no ports for a wired headset. Instead of a racetrack on the back for the handset cord, it has a magnetic anchor that locks the cord to either side of the back of the phone. (Actually kind of surprised it has the traditional curly cord for the handset). It has an integrated, non-removable base with built-in rocker. An optional wall-mounting bracket is available. There is no mention of the operating system, but it’s probably a fork of Android, though not a Google Play version. May even be the old Cius. The phone does not support Wi-Fi or Bluetooth. The phone is sold through Meraki channels. The MSRP for the phone itself is $599, but it requires a Meraki license which runs $150/year. Street pricing to be determined, but most Meraki stuff sees a discount of about 30% off list. The PSTN component is a SIP line. Meraki (consistent with Spark) is not providing the SIP service, but is brokering the service. Meraki customers acquire and provision the SIP service for $8.95 a month via the Meraki dashboard. Currently Intellepeer is the sole provider, but more providers are expected. SIP/PSTN services are only available in the US at this time. The price includes unlimited domestic long distance. This is a basic voice offer: no contact center, no UC apps, and no soft clients. Cisco has tried and failed at SMB communications several times. Has Meraki cracked the code? I have my doubts. Meraki is all about managed cloud services. There’s no shortage of SIP phones or SIP providers on the market. The Meraki magic lies in pulling it all together – open the box, login in to the dashboard and make/receive calls. Meraki stresses the single pane of glass mantra: wireless, switching, security, and now phones from the Meraki dashboard (ironically the phone itself is a single pane of glass as well). Anyone that’s run around provisioning phones will confirm that there is value here – but not much. SMB SIP phones just don’t require much ongoing management. The Meraki dashboard license is about $12/user/mo on a 1, 3, or 5 year contract. Most providers include management services in the monthly fee, though to be fair on a separate pane of glass. 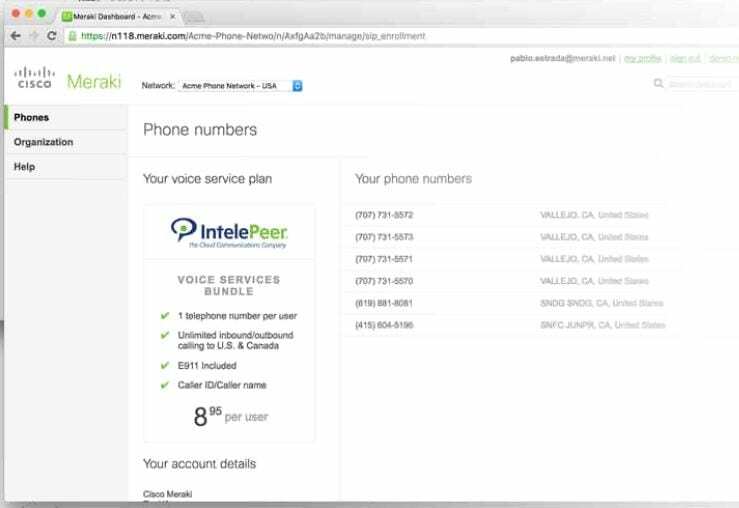 Cisco and Meraki position this as a voice-only service, but promises “integration” via apps on the phone. None are available at this time, but Meraki indicates Cisco Spark is coming. 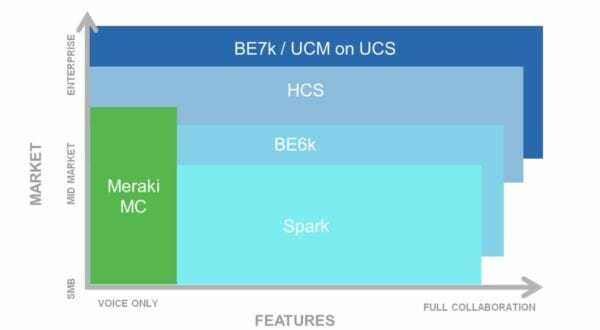 Cisco Spark does not currently integrate with third-party call control (only Cisco Call Manager and HCS), so the Spark app will likely just a be standalone app unrelated to the voice service. The bigger issue is the upfront price of the phone. Most providers today tout features and downplay equipment. Meraki, the cloud company, is touting high-end hardware with cheap service. Meraki voice is a desktop, hardware-first model in a software-first, mobile-first industry. The entire telephony component seems to be an afterthought – there are no immediate answers to questions such as: How many people on a conference? Can numbers be ported? Does the management service include the WAN and QoS? How deep/robust is the IVR? Is there any kind of reporting? Are there any restrictions or controls? At an MSRP of $750 a phone (plus an annual license of $12/mo starting on mo 13) this is one of the most expensive phones on the market – typically not a good strategy for SMB. Meraki will tell you that it is secure and managed, but so are competitive UCaaS offers. It appears this is better positioned to compete against the DIY model of buying a SIP phone and self-provisioning a SIP line. The Spark vision tightly integrates hardware with software. I’m sure a Spark client will arrive for this Meraki device, but why bother? If you want Spark then the Spark service offers (cheaper) phones. Meraki’s management console might be appreciated with a large distributed roll-out, but those are rare in SMB. The problem is those that value features will favor UCaaS services and those that don’t value features will favor cheap hardware. For example, the Grandstream GXV3275 is an Android-based (Google Play) phone for less than $250 on the street (and has bluetooth). On the other hand, Meraki has a knack for proving naysayers wrong. It has a loyal customer base that supposedly requested phones. The list prices cited above are not street prices – at 50% discounts the MC74 becomes more interesting. It’s a nice looking phone and ease of management is a huge selling point in telephony. It just might work. If Meraki really wanted to deliver phone service, they should have gone with a basic Cisco SIP phone with an improved management/provisioning capability. It is odd that they created their own, custom proprietary phone.